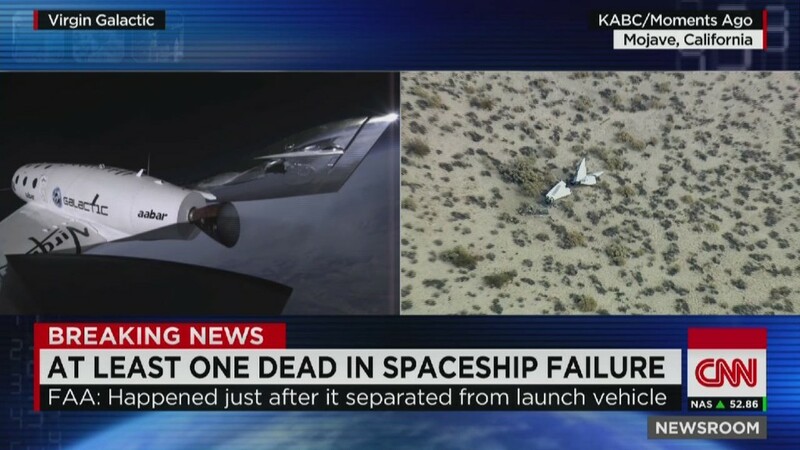 The Virgin Galactic spaceship that exploded Friday, claiming at least one life, cost nearly $500 million to develop. Virgin has sold more than 700 tickets, each costing more than $250,000, for future flights. Several celebrities have already signed up, including Justin Bieber, Ashton Kutcher, Leonardo DiCaprio and Stephen Hawking. The special plane is called SpaceShipTwo, and it was designed to carry six passengers. Virgin's billionaire founder, Sir Richard Branson, told Reuters the cost of the spaceship was $500 million. The ship exploded during a flight over California, killing one person and seriously injuring another, according to a California Highway Patrol officer. Branson's Virgin Galactic has planned for years to sell trips in which SpaceShipTwo would transport passengers about 62 miles above Earth -- the beginning of outer space -- and let them experience a few minutes of weightlessness before returning to ground. SpaceShipTwo has long been in the final stages of its test flight program. Friday's test flight began in Mojave, California, the company said. Friday's mission was SpaceShipTwo's solo flight number 35, according to the company. A specialized jet carried it into the air, where they normally separate at 50,000 feet. They disconnected at about 10 a.m. PST, but within minutes, the spaceship experienced "an in-flight anomaly," Virgin Galactic said. The plane was designed and built by Mojave-based Scaled Composites, a subsidiary of defense contractor Northrop Grumman (NOC). The entire project operates under the wing of The Spaceship Company, a venture that's jointly owned by Branson and Abu Dhabi's aabar Investments PJS. Third-party travel agents designated "accredited spaced agents" were told by Virgin to refrain from speaking about the matter in public. However, the company has received more than $80 million from bookings. Travel agents who spoke on condition on anonymity said only a small portion of that is refundable. Commercial flights were set to start in 2015, but this incident could push that back. "Space is hard and today was a rough day," said Virgin Galactic CEO George Whitesides at a press conference Friday evening. He said that Branson is on his way to Mojave and expected to arrive Saturday morning. Friday's deadly accident marks the second time this week that a private U.S. space company suffers a major loss. 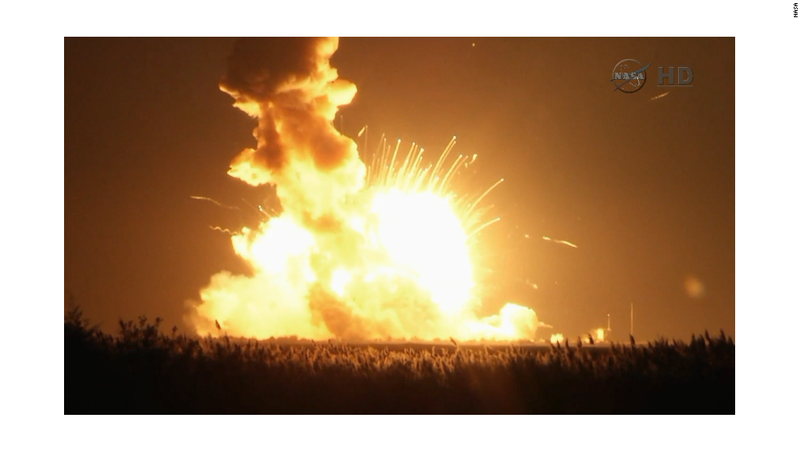 On Tuesday, a NASA contractor -- the Orbital Sciences Corporation (ORB) -- blew up its own unmanned Antares rocket when it started to malfunction. It was bound for the International Space Station with 5,000 pounds of supplies and experiments. The space community showed signs of solidarity after Friday's explosion. Elon Musk, the CEO of another spacecraft company SpaceX, sent his sympathies to the families of the pilots and the Virgin Galactic team over Twitter. NASA Administrator Charles Bolden also offered condolences in a statement. "Space flight is incredibly difficult, and we commend the passion of all in the space community who take on risk to push the boundaries of human achievement," he said. --CNN's Jason Hanna and CNNMoney's Katie Lobosco contributed to this report.